6/3/2016 | Weekly Highlight: KANETA Masanao — dai ichi arts, Ltd.
Kaneta Masanao (1953- ) is the eighth generation in a family of potters that stretches back over several centuries. Though he struggled against joining the family business, he began working the potter's wheel and tending kilns at a very young age. 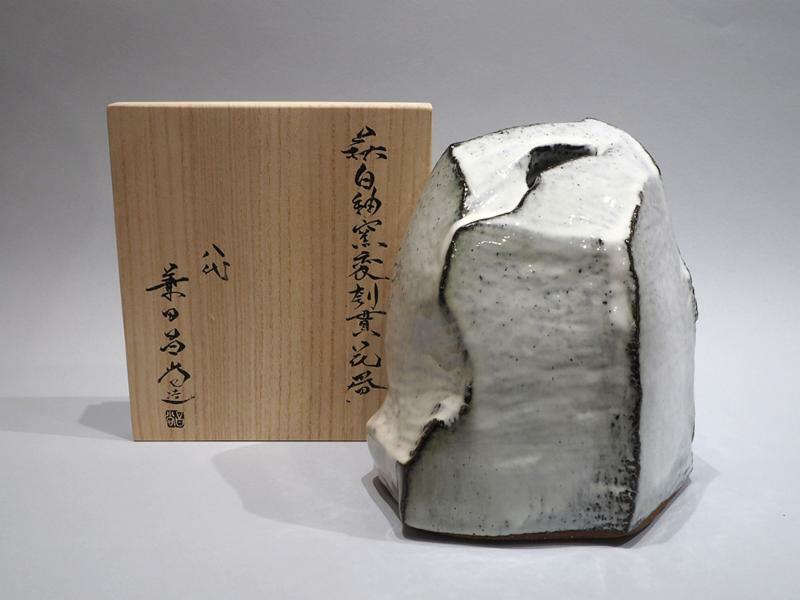 He studied with his father, Mizaemon, after finishing postgraduate work in sculpture at Tsukuba University in 1979. 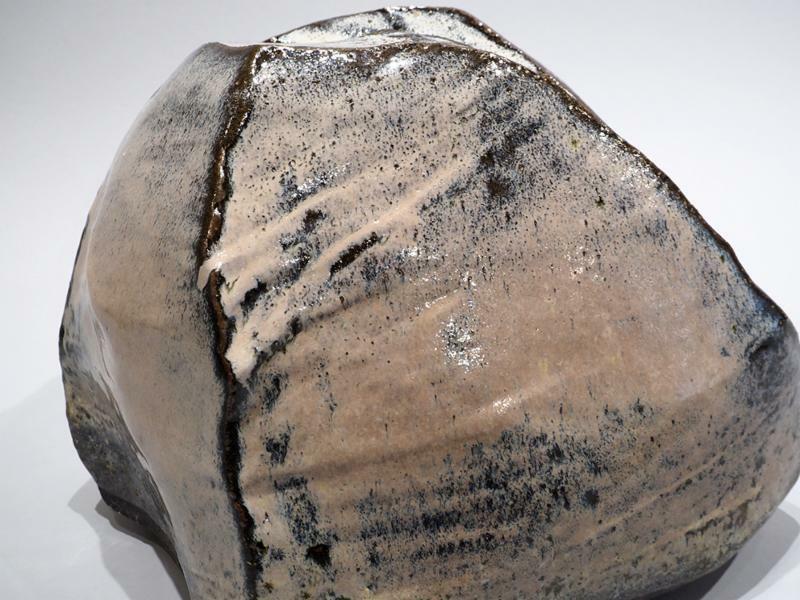 His work explores the structural concepts of space, movement, and surface, even within the traditional forms of tea utensils, such as tea bowls and jars. These two vases employs straw ash glaze and iron-rich, Hagi glaze that produces this beautiful pink-grey color, accented with a rich brown after fire. Kaneta began to move away from the potter's wheel in the late 1980's in favor of freer structure and form. This piece has been carved from a single lump of clay, resulting in its organically rough-hewn, natural aesthetic. Large facets left from the carving process give the impression that those pieces have been cut from the very mountain itself. Its asymmetrical shape and compositional strength reveal Kaneta's training as a sculptor. Kaneta celebrated his first solo exhibition, Masanao Kaneta A Ten Year Retrospective, in 1989. 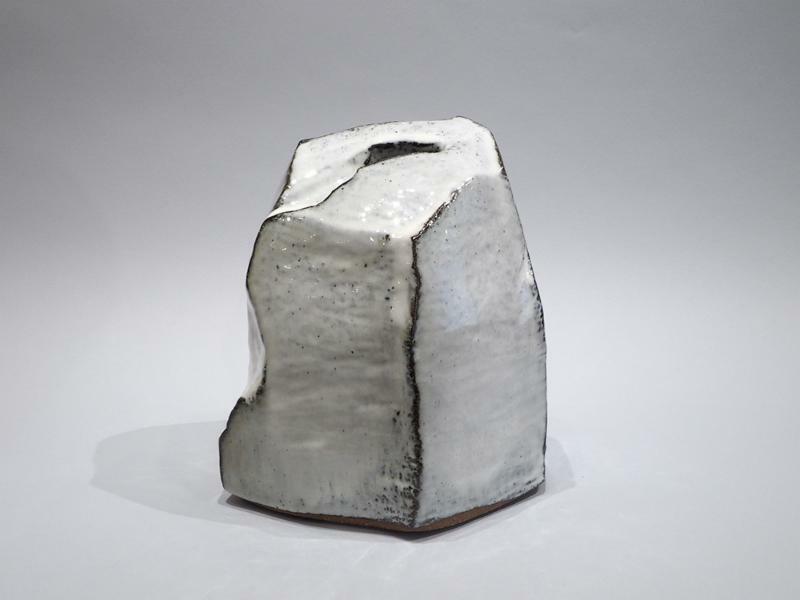 His work is included in numerous public collections, including the Asian Art Museum, San Francisco; The Brooklyn Museum of Art, New York; The Metropolitan Museum of Art, New York; The Japan Foundation, Tokyo; The Museum of Ceramic Art, Gifu; and the National Museum of Modern Art, Tokyo; among many others.